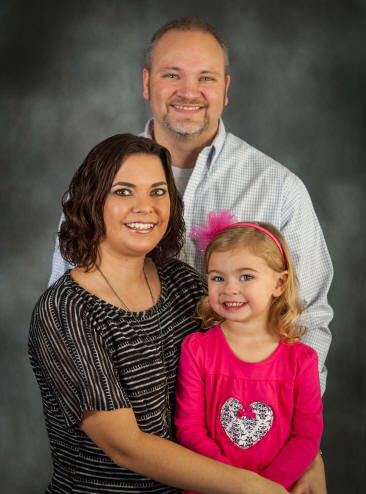 For those of you who are interested, here's the latest photos of my lovely family. Mom (Willie Goble Loftin) turned 90 in December and we're so pleased that the good LORD blessed her with good health and a sharp mind to reach this milestone in her life. Each year after Thanksgiving dinner, my family (the Curtis Loftin family) all goes over to my son's (Philip's) house to have some photos taken of the entire family. As our family continues to grow and change year after year, we are thankful for the visual reminders of this time in life with one another. 1. Long Life Satisfied: is a page dealing with family members who lived to be 80 or older. 2. Curtis & Carolyn Loftin's 12-day-trip to Israel in 2011 with lots of photos and videos. 3. Balls Creek Campground: in Catawba County, NC. 4. Bunker Hill Covered Bridge: in Catawba County, NC. 5. Cars: in the family and elsewhere. 6. Curtis' Reading Class in 1979 read and do slide presentation for "D.J. 's Worst Enemy", by Robert Burch. 1. I've updated the Loftin Descendancy, the Glennie Frances Loftin Cook page, the Alonzo Lester Loftin page, the Ida Lillian Setzer Loftin page to reflect the death of Frances Loftin Cook. I've also added her death date to the pages of each of her siblings. 1. Nothing new thus far this month. 1. 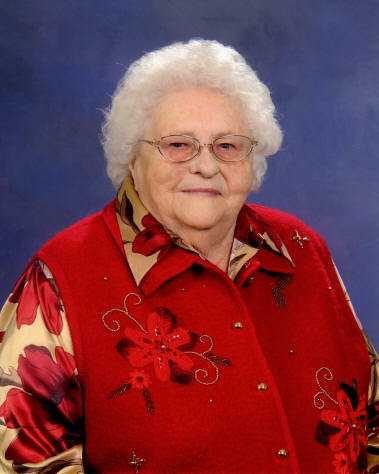 Frances Loftin Cook, age 89, of Catawba, NC, passed away on Wednesday, 17 Sep 2015. Frances Loftin Cook, age 89, of Catawba, NC, passed away on Wednesday, 17 Sep 2015 at Sherrills Ford Hospice House. 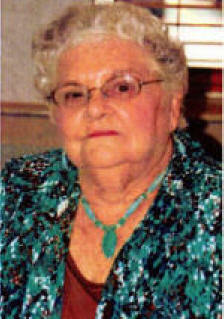 Frances was born 13 July 1926 in Catawba County, NC, to the late Alonzo Lester Loftin and Ida Lillian Setzer Loftin. 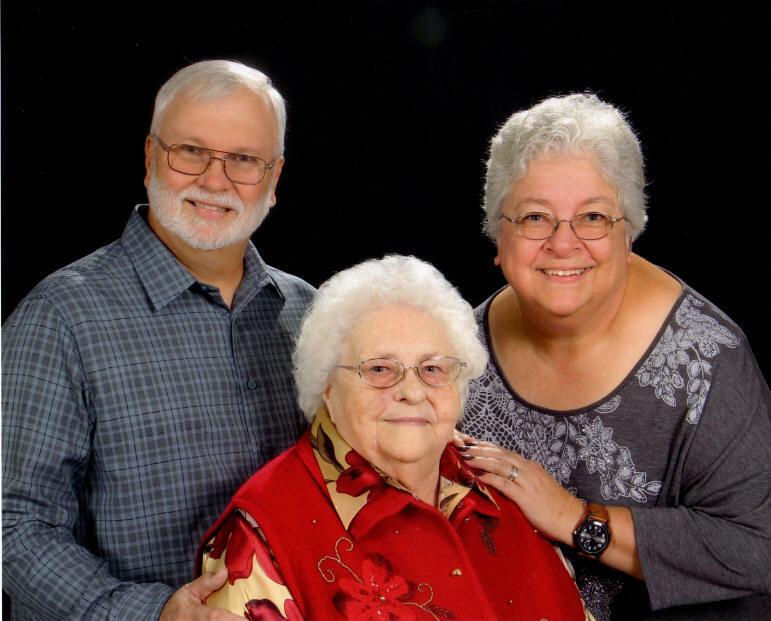 Frances was a member of Center United Methodist Church in Catawba, a 1944 graduate of Balls Creek School and was retire from JC Penney Distribution Center. 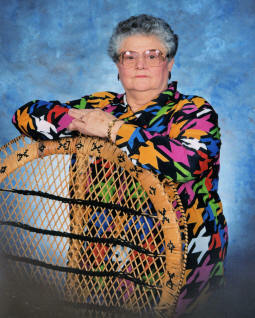 She enjoyed crocheting, scrapbooking, jewelry making, cooking and singing. In addition to her parents, Frances was preceded in death by her husband Alvin Cook; grandson Michael Lafone; ten brothers, five sisters and three infant siblings. Those left to cherish her memory are: daughter Norma Cook Steward of Catawba, granddaughter Jeannie Clark and husband Keith, great-grandchildren Keylee Clark, Noah Clark and Madison Clark. A service to celebrate Frances' life was held on Sunday, 20 Sep 2015, at 4:00 p.m. at Center United Methodist Church in Catawba. Rev. John Love officiated. Burial took place following the ceremony in the church cemetery. Those serving as pallbearers were Curtis Loftin, Paul Loftin, Gary Potter, Gary Mauney, Rick Yancey and Mike Rattermann. With Aunt Frances' death, all of the children (and their spouses) of Alonzo Lester Loftin have died - except for Willie Goble Loftin (the wife of Sam William Loftin ). 2. I continue to update the webpages of my two oldest granddaughters, Savanna & Alexandria (Ali), the daughters of Brad & Beth Loftin Seese. The Ali 2008, Ali 2009, Ali 2010, Ali 2011, Ali 2012, Ali 2013, Ali 2014, and Ali 2015 pages are completed. The Savanna 2008, Savanna 2009, Savanna 2010, Savanna 2011, Savanna 2012, Savanna 2013, Savanna 2014 and Savanna 2015 pages are also completed. I've also updated the latest page with photos for Beth Loftin Seese. 3. I took my two granddaughters Savanna & Alexandria to Murray's Mill in Catawba County, NC, on 30 Aug 2015 and got some really great photos of the girls. There were too many to put on one of the previous pages, so I created a new page for each of the girls titled: Savanna - 2015 Murray's Mill and Savanna & lexandria - 2015 Murray's Mill. 4. My youngest granddaughter Kayli turned three and all the family was over at her house to celebrate her "Little Mermaid" themed party. There are also some really wonderful studio photos that Philip & Leslie took of Kayli this month. 1. Kady Gantt found and shared with me the Obituary notice for Levina C. Sherrill Johnson from The Statesville Record & Landmark. It has been added to Levina's page. Thanks Kady. I've also recently come across additional information on Levina that I have added to her webpage - including a corrected birthdate that is based on her grave marker. 2. I have created a new webpage for Alfred M. Sherrill (1798-1870) and his wife Elizabeth "Eliza" Moore (1802-1870 - both of whom are the parents of Levina C. Sherrill Johnson. 3. Kady Gantt shared three articles from The Statesville Record & Landmark about Martin Grier Carrigan, the husband of Victoria E. Johnson. The first announces Grier's marriage to Victoria, the second tells that they have been found guilty of marrying outside of their race, and the third tell how Grier was killed when he was run over by a train. They have been added to the page for Grier. Thanks Kady. I've also updated information on Vickie's page. 1. I continue to update the webpages of my two oldest granddaughters, Savanna & Alexandria (Ali), the daughters of Brad & Beth Loftin Seese. The Ali 2009, Ali 2010, Ali 2011, Ali 2012, Ali 2013, Ali 2014, and Ali 2015 pages are completed. The Savanna 2009, Savanna 2010, Savanna 2011, Savanna 2012, Savanna 2013, Savanna 2014 and Savanna 2015 pages are also completed. I've also updated the latest page with photos for Beth Loftin Seese. 1. My youngest granddaughter Kayli turned three and all the family was over at her house to celebrate her "Little Mermaid" themed party. There are also some really wonderful studio photos that Philip & Leslie took of Kayli this month. 1. For those of you that have connections to Catawba Middle School between the years of 1976 - 1999 you may remember Cliff Dietrich who taught math downstairs. It's with much regret that I post of Cliff's recent death. 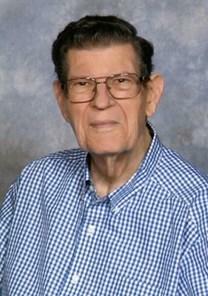 Clifford Dietrich, 86, of Hickory, NC, passed away August 31, t015 at his residence in Hickory. Born February 15 1929 in New Orleans, LA, he was the son of the late Edward Dietrich, Sr., and Caroline Biehler Dietrich. A member of Lakeview Baptist Church, he retired after having spent over 30 years in education as a teacher and working as a principal in St. Louis and Hickory. He enjoyed a variety of sports but his greatest joy was researching theology, mentoring and teaching the word of God to others. In addition to his parents he was preceded in death by a brother, Edward Dietrich Jr.
Cliff is survived by his wife of 64 years, Rosemary Beck Dietrich; children, Suzanne Dietrich of Tampa, FL, Daniel Dietrich and wife Karen of Destin, FL, David Dietrich and wife Cindy of Conover and Lee Dietrich and wife Kristi of Bluffon, SC; grandchildren, Kevin Dietrich and wife Jwessica, Rich Duncan and wife Crystal, Matthew Dietrich and wife Carrie, Christina Dietrich, Ethan Dietrich and Ben Dietrich; great-grandchildren, Jordan Duncan, Bella Anne Dietrich and Rosalea Dietrich. A Service of Remembrance will be held at 4:00 p.m. on Thursday, September 3, 2015, at Lakeview Baptist Church in Hickory with Rev. Troy Grant and Rev. Jerry Hurley, Sr. officiating. Entombment will follow the service at Woodlawn Memorial Gardens. 1. 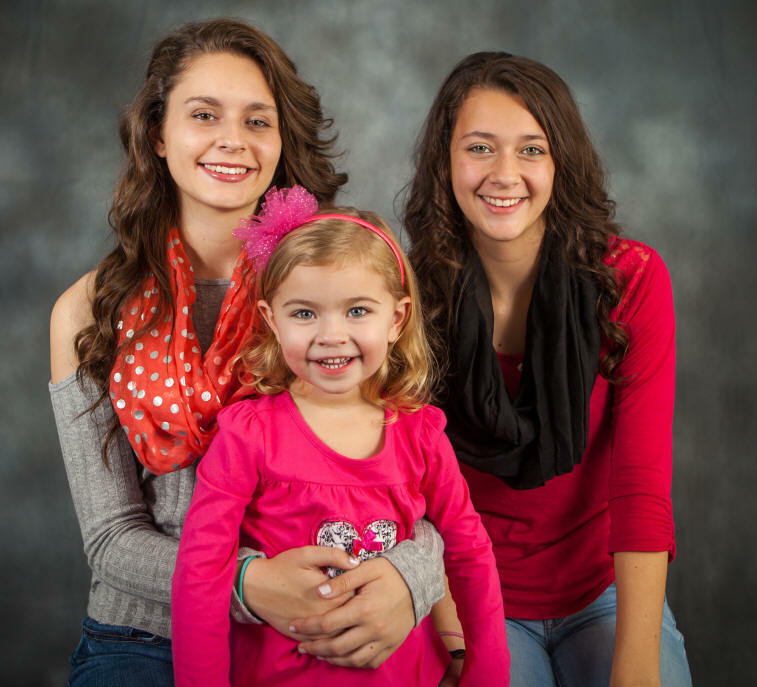 I continue to update the webpages of my two oldest granddaughters, Savanna & Alexandria (Ali), the daughters of Brad & Beth Loftin Seese. The Ali 2008, Ali 2009, Ali 2010, Ali 2011, Ali 2012, Ali 2013, Ali 2014, and Ali 2015 pages are completed. The Savanna 2008, Savanna 2009, Savanna 2010, Savanna 2011, Savanna 2012, Savanna 2013, Savanna 2014 and Savanna 2015 pages are also completed. I've also updated the latest page with photos for Beth Loftin Seese. 2. I continue to add family videos for the past 40 years uploaded so they can be shared with family and friends. Check them out on the new page Videos - Curtis Loftin Family. I've also added pertinent videos to the various pages for Philip Daniel Loftin and Elizabeth Ann Loftin Seese. 1. Denelda Setzer Reese, 72, of Claremont, passed away on Monday, August 10, 2015, at Sherrills Ford Hospice House surrounded by her family. 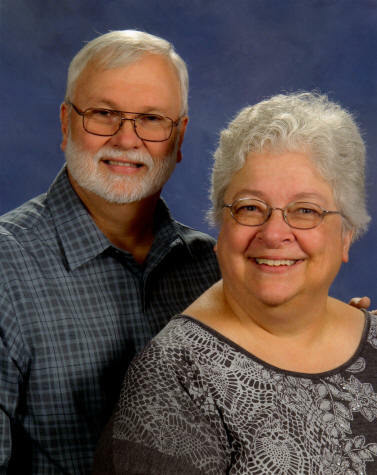 Born 14 Oct 1942 in Iredell County to the late Ernest and Johnsie Connor Setzer, Denelda was a member of Bethlehem United Methodist Church in Claremont, where she served as the church organist for many years. She also left a legacy of 41 years of service at Peoples Bank serving as Vice President and Business Office Manager. Denelda enjoyed traveling, camping with friend, needle point, crocheting and also spending time with her family, and longtime friend Nancy Lowman. Those left to cherish her memory are: (1)Her husband of 24 years, David Reese of the home; (2) Sons: Todd Munday and wife Regina of Maiden, Garrett Resse and wife Lisa of Mooresville; (3) Daughters: Joni Brown and husband Brian of Maiden, Candace Rodriguez and husband Jose of Charlotte; (4) Sister: Katrina Stewart and husband rank of Catawba; (5) Grandchildren: Joshua Munday, Taylor Brown, Beau Brown, Amber Cansler and husband Adam, Connor Munday, Ava Reese, Harrison Reese; (6) Great-Grandchildren: Evie Munday, Lila Munday and Aubree Cansler. A service to celebrate Denelda's life was held on Friday, August 14, 2015, at 3:00 p.m. at Bethlehem United Methodist Church in Claremont. Rev. Dannis Marshall officiated. Burial followed in the church cemetery. The family received friends on Friday, August 14, 2015, form 1:00 to 2:45 p.m. at the church. Serving as pallbearers were: Brandon Lindler, Ron Lindler, Dennis Lindler, Dayne Miller, Joel Barringer and Terry Miller. Her grandsons served as honorary pallbearers. Memorials may be made to Hospice of Catawba Valle, 3975 Robinson Rd., Newton, NC 28658 or Bethlehem United Methodist Church, 3214 Catawba Street, Claremont, NC 28610. 1. Cecil Gene Schronce, age 79, of Claremont (Catawba) passed away Friday, August 7, 2015, from declining health, at his residence. Born July 12, 1936, in Lincoln County, NC, he was the son of the late Jesse Robert and Zora Lee Clark Schronce. 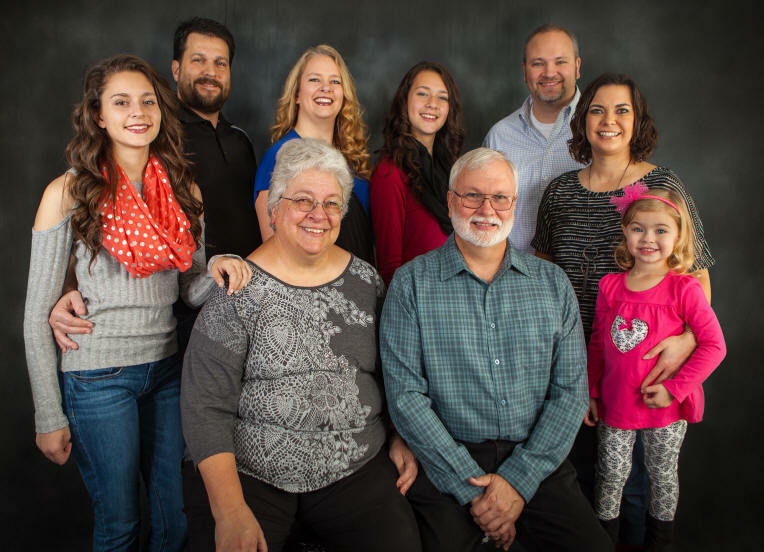 Cecil was a faithful member of Mathis Chapel Baptist Church of Catawba, NC, where he served as Treasure, Youth Director, Sunday School Teacher and Sunday School Director for many years. Cecil retired after 32 years as a supervisor from Ethan Allen Furniture in Maiden. He served his community as a Bandys Volunteer Fireman for 18 years, was on the Board of Directors and he attained the position of Assitant Chief. He served as President of the PTO for Balls Creek Elementary School and was the first PTO President for Tuttle Middle School. As as Officer for the Catawba County Board of Election for 24 years, Mitchell Setzer awarded him for his faithful service with The Great Seal of North Carolina. Cecil received the Outstanding Citizen Award as well as the Good Neighbor Award from Woodman of the World. Whenever there was a need from one of his neighbors, Cecil was often the first to respond. He greatly loved and was greatly loved. In addition to his parent, he was preceded in death by two sons; Christopher Gene Schronce and Samuel Todd Shronce, both of Vale, two sisters; Kate Whiteside of Lincolnton and Carolyn Smith of Vale. Those left to cherish his memory are: Wife of 46 years, Brenda Isenhour Schronce of the home; 3 Daughters; Becky L. Dellinger and husband Eric of Newton, Paula G. Schronce of Maiden and Regina E. Brown and husband Paul of Sherrills Ford; 2 Sons: Bryan Schronce and wife Susan of Vale and Rev. 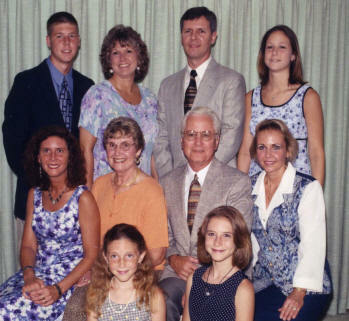 Paul D. Schronce and wife Annette of Taylorsville; 13 Grandchildren: Jason Schronce, Morgan Kelly, Logan Bost, Daniel Bost, Joseph Bost, Justin Schronce, Jacob Schronce, Jesse Schronce, Chelsea Brown, Carolyn Brown, Ashton Brown, Telisha Seagle and Jeffrey Beard; 5 Great Grandchildren; and Sister: Helen M. Anthony of Lincolnton. The funeral service will be held on Sunday, August 9, 2015, at 4:00 p.m. at Mathis Chapel Baptist Church in Catawba with Pastor Travis Triplett and Rev. Carroll Anthony officiating. Burial will follow in the church cemetery. The family will receive friends prior to the service Sunday from 1:30 - 3:45 p.m. at the church. Memorials may be made to Mathis Chapel Baptist Church, 1786 Mathis Church Road. Catawba, NC 28609. Burke Mortuary in Newton is serving the Schronce family. Cecil's wife, Brenda, is the daughter of Fred Isenhour and Fannie Elizabeth "Lib" Goble Isenhour, and the granddaughter of Martin Luther Goble and Beulah Vernesta Johnson. 1. I've spent some time in July trying to get the pages on my granddaughters updated. I've completed the webpage Kayli - Year 2014, the daughter of Philip Loftin and Leslie Robinson. Also, the Kayli - Year 2015 is current through the month of July. Be sure to check them out. There are photos as well as videos. 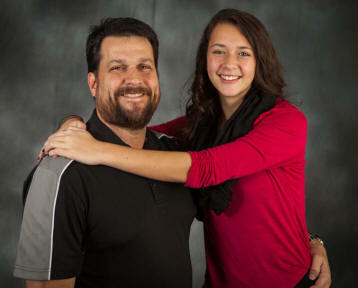 Since Kayli's parents use one of the rooms in their house as a photography studio, they're photos are always wonderful. Thanks Philip and Leslie for sharing them with us. 2. 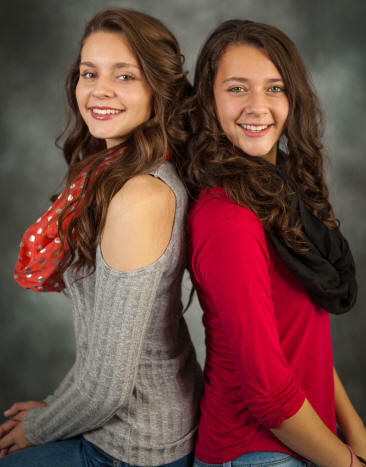 I'm in the process of updating the webpages of my two oldest granddaughters, Savanna & Alexandria (Ali), the daughters of Brad & Beth Loftin Seese. The Ali 2012, Ali 2013, Ali 2014, and Ali 2015 pages are completed. The Savanna 2011, Savanna 2012, Savanna 2013, Savanna 2014 and Savanna 2015 pages are also completed. I've also updated the latest page with photos for Beth Loftin Seese. 3. I finally got "most" of our family videos for the past 40 years uploaded so they can be shared with family and friends. Check them out on the new page Videos - Curtis Loftin Family. 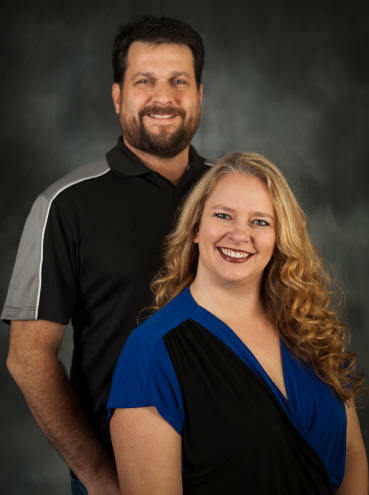 I've also added pertinent videos to the various pages for Philip Daniel Loftin and Elizabeth Ann Loftin Seese. 4. 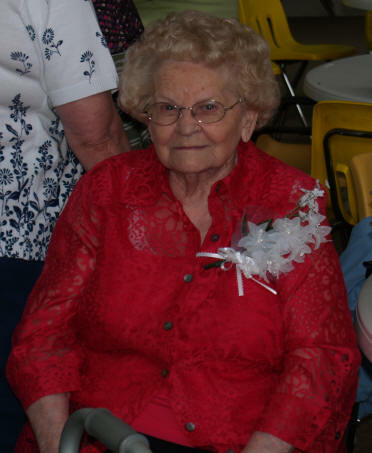 (Catawba County, NC) Lois Virginia Loftin Mundy, age 106, passed away on Thursday, 04 Jun 2015. Lois was born 13 Dec 1908. She was the daughter of the late Arthur Lee Loftin and Alice Josephine Gilleland, and the granddaughter of William Alexander Loftin and Laura Rossie Cranford Loftin. Lois was the widow of Preston Mundy. Lois and Preston's children included: Dorothy Josephine Mundy Hefner, Harlan Gray Mundy, Carroll Lee Mundy and James Greene Mundy. The funeral service will be held at 3:00 pm. on Sunday, June 7, 2017, at Shiloh United Methodist Church in Claremont with Rev. Deval Mason and Rev. Matt Munday officiating. Burial will follow in the Center United Methodist Church Cemetery in Catawba, NC. 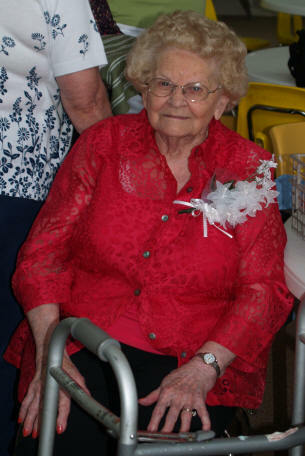 I found another video of Lois - this one from May 2011 at the Loftin Family Reunion - with Marie and Helen. Be sure to check it out on the Lois Loftin Mundy page. 5. 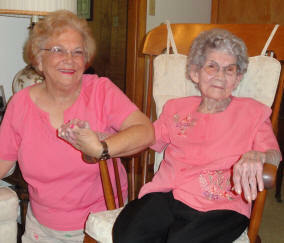 (Catawba County) Zettie Marie Loftin Robinson, age 104, of Newton, NC, passed away on Wednesday July 1, 2015 at Abernethy Laurels in Newton - less than a month after the death of her sister, Lois Virginia Loftin Mundy, age 106. Born December 16, 1910 in Catawba County to the late Arthur Lee Loftin and Alice Josephine Gilleland Loftin, and the granddaughter of William Alexander Loftin and Laura Rossie Cranford Loftin. 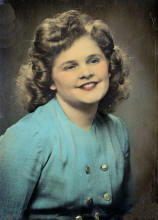 In addition to her parents, Marie was preceded in death by her husband Flake Robinson; son, Robert Lee Robinson; brothers Glenn Loftin, Ray Loftin, Coyte Loftin, Foy Loftin; and sisters Lois Loftin Mundy, Bernice Loftin Gilmer, Helen Loftin White and Wilma Moss; grandchildren Jeff Moore and Amy Robinson. Those left to cherish Marie's memory are: (1) Son: William F. (Bill) Robinson and wife Sylvia of Conover, NC, (2) Daughters: Mary Frances Robinson Moore of Valdese, Doris (Dot) Robinson Martin and husband Glenn of Catawba, (3) Sister-In-Law: Kathleen Loftin of Claremont, (4) Grandchildren: Barbara M. Davis and husband Dan, Annette M. Howes, Tony Martin and wife Kathy, Terry martin and wife Karen, Angie M. Rosales and husband Gerry, Michael Martin and wife Dana, Todd Robinson and wife Robin, Janet R. Miller and husband Bill, (5) as well as numerous Great Grandchildren and Great-Great Grandchildren. A service to celebrate Marie's life will be held on Friday, July 3, 2015 at 1:00 p.m. at First United Methodist Church in Newton. Rev. 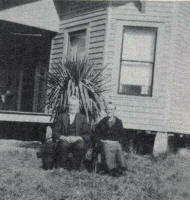 Davis S. Greene and Rev. Lara W. Greene will officiate. Burial will follow at Catawba Memorial Park in Hickory. 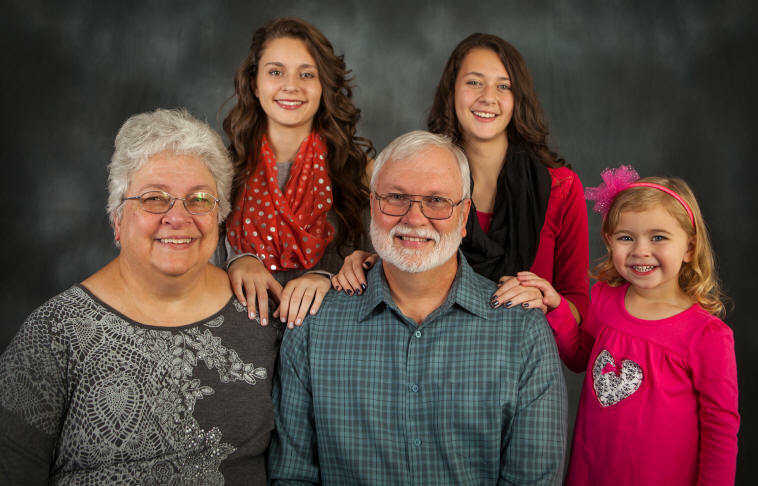 The family will receive friends on Friday, July 3, 2015 from 12:00 to 12:45 p.m. at First United Methodist Church. 6. (Catawba County, NC) Wayne Jackson Martin, 76, of Catawba, went home to be with our Lord on Tuesday, June 16th, 2015 while surrounded by his family at his residence after a long battle against lung cancer. Born on November 24, 1938, Wayne was the middle son of the late Roy and Sallie Mae Martin. He was a man of distinct character and work ethic. He retired from General Electric after more than 30 years of service. Wayne was also a local entrepreneur, he owned the Goldmine General Store and Grill in Catawba as well as the Goldmine Cafe in Conover. Although he was a successful businessman, the pride of his life was his family. He spent many hour working alongside his children and grandchildren at their family owned and operated businesses. Even with his busy schedule, he always made time to catch an occasional baseball game where he supported his grandsons as they pitched. In his spare time, Wayne enjoyed gardening, golfing, and antique cars. He was known to "never pass up a good deal or "gold mining" as he affectionately coined it. 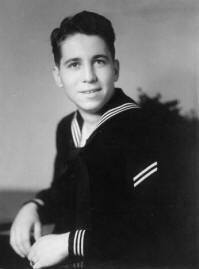 In addition to his parents, he was preceded in death by his brothers; Jerry Martin, Ferma "Gene" Martin and William "Bill" Martin. Wayne is survived by his wife of 59 years, Phyllis "Elaine Lee Martin of the home, daughters: Cynthia Miller and husband Tony of Conover, Lisa Harvey and husband Bryan of Catawba. Grandchildren include: Captain Ashley Perdue and wife Kensley of Chapel HIll, Kristopher Harvey and wife Jessica, Whitney Harvey, Kolbe Miller, and Hunter Harvey, all of Catawba; two great-grandchildren, Ella Jaice Harvey and Harper Ann Harvey of Catawba; sister Jewel Anderson of Maryland. A service of remembrance will be held Saturday, June 20, 2015, at Center United Methodist Church at 3:00 PM, with Rev. John Love and Rev. Larry Cooley officiating. The family will receive friends from 1:30 to 2:45, prior to the service on Saturday at Center United Methodist Church in Catawba. Burial will follow in the church cemetery. 7. Diana Loftin Sullivian contacted me and shared photos of her parents John & Shirley Loftin. The photos have been added to the John Havener Loftin (b.1902) page. Be sure to check them out. 1. 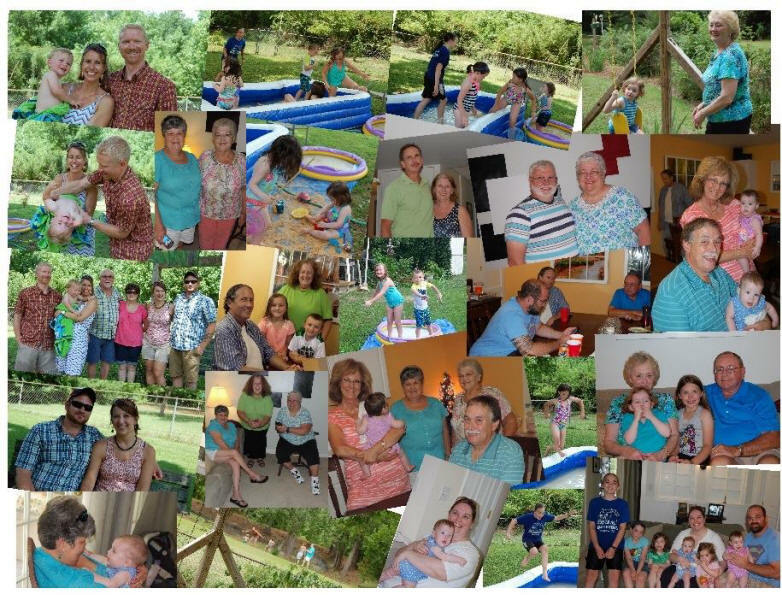 The descendants of John Bryant Eason and Ida Griswold gathered at the home of Shannon and Elaine Eason Huntley in Garner, NC, on Saturday, 13 Jun 2015 for the Eason Family Reunion. It was wonderful seeing all the Eason siblings, cousins, nieces, nephews and grandchildren. Thanks Shannon and Elaine for opening your home to us all. I updated the pages for Sidney Stuart Weeks, Daniel Weeks and Dana Weeks Jones with photos from the Eason Family Reunion. Thanks to Elaine Eason Huntley and Jo Ann Whitley Allen for sharing their photos, too. 2. I added a copy of the page from the Griswold Family Bible that was handwritten by Viola Eason Weeks to the Griswold Family Descendancy page. Viola was the daughter of Ida Griswold and John Bryant Eason. 3. A new page was created for Edward Hocutt (b. Abt. 1711), who we believe to be the Immigrant to the USA. A new page was also created for his son, William Hocutt (b. Abt. 1740). 4. I finally got around to adding the videos I took at the Dana Weeks and Andrew Jones wedding from 2014 to the Dana Elizabeth Weeks Wedding page. Check 'em out. 1. I've created YouTube videos from my son-in-law Brad Seese's 40th Surprise Birthday. They've been added to Brad's page as well as the Loftin Family Video Page. 2. 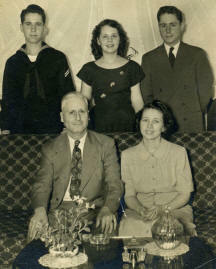 I continue to work on family lineages in by son-in-law Brad Seese's family. In addition to the Seese and Denniston lineages, I've started working on the Gardner Family lineage. There are new pages for Abraham/Abram Gardner (1810-1888), Lester Martin Gardner (1855-1935), Joseph I. Gardner (1892-1987) and Winifred Irene Gardner (1919-1987). 3. I've added several pages for this branch of the family, including a Hameister Descendancy page (which isn't very long), as well as pages for Charles "Carl" Hameister (1859-1931) and his daughter Clara Hameister (1895-1930) who married Joseph I. Gardner (1892-1987). There is also the beginnings of a "simple" Hameister Family Tree that connects the Hameisters to the Gardner, Denniston and Seese families. 4. There are new pages for the Earnshaw Family - including William Earnshaw (b. 1836, England), Alfred "Fred" Earnshaw (b. 1871), Helen Doris Earnshaw (1898 - 1981) and the Earnshaw Family Tree. 5. There are new pages for the Hart Family - including Eber Hart Sr (1756-1842), Eber Hart Jr. (1788-1873), William E. Hart (1814-1907) and Caroline Elizabeth Hart (1848-1935). 6. Thanks to JoAnn Denniston Seese (my daughter Beth's mother-in-law) there are photos for the following new pages: Emery Otis Denniston (b.1880) Helen Doris Earnshaw Denniston (b. 1898), JoAnn Denniston Seese (b.1947), Reese Mathew Denniston (b.1918), Winifred Irene Gardner Denniston (b.1919), Alfred Earnshaw (b.1871), Joseph I. Gardner (b.1892), Lester Martin Gardner (b.1855), The Gardner Family Descendancy Page. 7. JoAnn shared letters that her dad, Reese Mathew Denniston, wrote to her mother while he was in the military, serving at Elmendorf Field in Anchorage, Alaska, in 1941. I created a new page for the letters with links tying back to Reese's personal page. The new page is called Reese Mathew Denniston - Letters . 8. 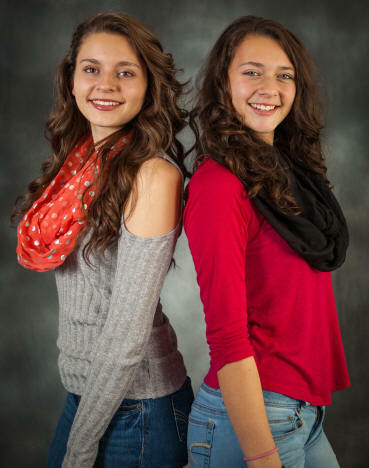 I'm in the process of updating the webpages of my two oldest granddaughters, Savanna & Alexandria (Ali), the daughters of Brad & Beth Loftin Seese. The Ali 2013, Ali 2014, and Ali 2015 pages are completed. The Savanna 2011, Savanna 2012, Savanna 2013, Savanna 2014 and Savanna 2015 pages are also completed. 1. I've spent some time in July trying to get the pages on my granddaughters updated. I've completed the webpage Kayli - Year 2014, the daughter of Philip Loftin and Leslie Robinson. Also, the Kayli - Year 2015 is current through the month of July. Be sure to check them out. There are photos as well as videos. 1. I added a hand-drawn (computer-drawn) blueprint of the home of Flora Edwards Stewart to her page. Flora supplemented her income by making cakes, cookies, pies, candy and much more for neighbors from the community. She spent many years serving as Cafeteria Manager at Catawba Elementary School (originally called Catawba High School). She also kept the webmaster (Curtis Loftin) when he was a child and was a second mother to him. The old yellow house that she lived in still has lots of southern charm. I also managed to find the 1940 Census which had previously been very elusive and hard to find. Documents for Flora's husband, Harry Glenn Stewart, were also added - including his WWI and WWII Draft Registration Cards and his Death Certificate. 2. I added a new photo to the Murray's Mill page - courtesy of Paul Loftin. Thanks, Paul. 3. I added blueprints of the old Catawba Elementary School and Catawba High School to the Catawba High School page. 4. The page for Notable Ancestors and Relatives has been updated. 1. 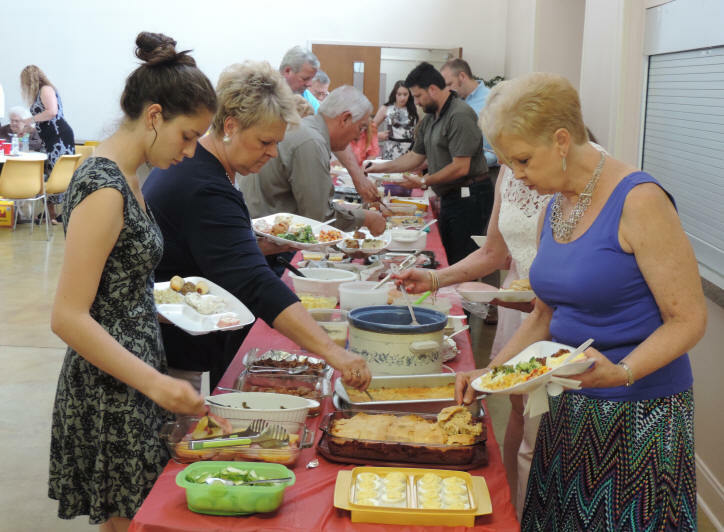 The descendants of William Alexander Loftin and Laura Cranford Loftin gathered for the annual Loftin Family Reunion on Sunday, 17 May 2015 in the Family Life Center of the Catawba Methodist Church. Check out the photos from the yearly event by scrolling to the bottom or the page or clicking on the 2015 LINK on the Left Side of the page. 2. I have created a webpage fro my daughter-in-law, Leslie Annette Robinson Loftin with lots of photos. 3. My neighbor Lynn Bustle recounts to me this month how he bought my first car from Dad (Sam Loftin) after I went off to college. For more information, go to THIS PAGE. 4. 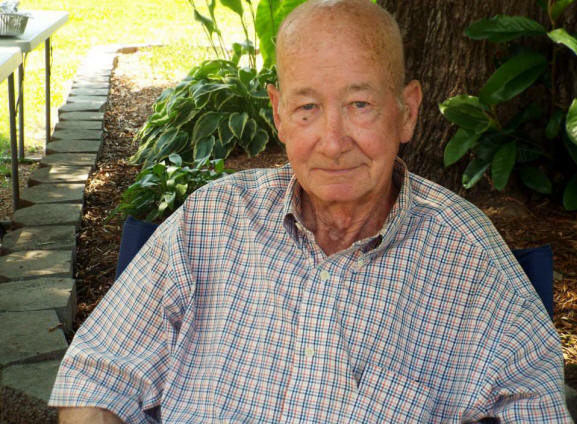 (LaPort, Texas) Wayne Morrow Loftin, age 84, passed away on Wednesday, 27 May 2015, following a stroke he had several months back. Wayne was the son of Roy Henry Loftin and Sarah Mae Morrow - and the grandson of Alonzo Lester Loftin & Cornelia Estelle Lowrance. Wayne is survived by his wife Sue Cooke Loftin and three children: Michael Wayne Loftin, Karen Sue Loftin and Linda Dianne Loftin Kendrick. In addition to his wife and children, Wayne is survived by brother Larry Henry Loftin and sister Lillie Yvonne Loftin Bryson. 1. My mother, Willie Goble Loftin, was sharing some information with my son-in-law Brad Seese after the Loftin Family Reunion on Sunday, 17 May 2015. Some of the things she shared were more in depth then I've heard before so I took notes and added them to her page. If you scroll down to the interview dated 17 May 2015 you'll be able to see the addition. There is also the most recent photo of Willie with her youngest great granddaughter Kayli Loftin at the Loftin Family Reunion - at the bottom of Willie's page. 1. I've just started on these pages and have only created the Table of Contents entitled Where to Find 'Em - The Seese and Denniston Branches. I've completed pages for Samuel Denniston, Jr. (b. 1820), John Mathew Denniston (b. 1852), Emery Otis Denniston (b. 1880). I've also been working on a Denniston Family Tree and a Denniston Family Descendancy. 1. I have finally started working on the Robinson Family (of Catawba County, NC) pages for my granddaughter, Kayli Elise Loftin. I hope she finds them enjoyable and useful in the future. Currently there are pages for the Robinson Family Descendancy of Catawba County, NC, Isaac Robinson (the patriarch of the Catawba County klan), John Robinson (1770 - 1847), John Simpson Robinson (1813 - 1898), Michael Pinkney Robinson (1848 - 1937), Ceaphas Beattie Robinson (1884 - 1976), Melvin Franklin Robinson (b.1928), Michael Dean Robinson (b. 1954) and Leslie Annette Robinson (b. 1978). Leslie's page is heavy with photos of when she and Philip were dating, their wedding, and marriage. I have also created a Table of Contents entitled Where to Find 'Em - The Robinson and Caldwell Branches. All of these pages are still a work in progress. Thanks to Mike & Myra Caldwell Robinson for loaning me the book "Through the Years with Jane & John Robinson" written and compiled by Marie Beatty, Pauline Gilleland Drum and Shirley V. Beatty. I also created a Robinson Family Tree for the line - but it only shows the lineage of my daughter-in-law Leslie Robinson Loftin. There is also a Robinson Family Tree page 2. 2. I have also started working on the Caldwell Family (of Catawba County, NC) pages for my granddaughter, Kayli Elise Loftin. Thus far this month I've created pages for the Caldwell Family Descendancy, as well as individual pages for James Caldwell (The Pioneer), John D. Caldwell (1775 - 1838, David Caldwell (1806 - 1890), John J. Caldwell (1837 - 1922), William M. Caldwell (1807 - 1888), William C. Caldwell (1838 - 1923), William Pinkney Caldwell (1871 - 1947), Frank Leonard Caldwell (1916 - 2010), and Myra Annette Caldwell (b. 1955). The beginning of the Caldwell Family Tree is on the same page with the Robinson Family Tree. 1. I added a "tribute" page on the website to Rev. Bobby Lee Taylor of Catawba, NC, after his death on 17 Mar 2015. Bobby (his wife Grace and daughter Angela) went to Mathis Chapel Baptist Church - the same church as my family. Bobby & Grace took an interest in me (Curtis Loftin) when I was in high school and their Christian influence continued through my college years and on into my adult life. Bobby was even the minister that married Carolyn and myself. You can check this page out at Bobby Lee Taylor. 2. I updated the Catawba County History page with an article from The Claremont Courier by Scott W. Ramsey entitled "Things You May Not Know About (Catawba County". It's a very interesting article that includes little know facts about our county as well as celebrities who have lived, or currently live, in Catawba County. 1. February and March were slow moths for me - as far as working on family genealogy is concerned. I did created one new webpage - a TRIBUTE page for Rev. Bobby Lee Taylor (1934 - 2015) a personal family friend and the minister who officiated at my marriage to Carolyn. Bobby & his wife Grace were major influences on my life - especially during my teenage and college years. Without their influence, I would not be the person I am today. 1. Nothing new this month. 1. As I continue to add additional names and information to the Loftin Family Descendancy page, the page gets slower and slower. It has gotten to the point now that when I go to edit the page and type new information, I type a letter and have to wait 10 to 20 seconds, type another letter and wait 10 to 20 seconds. As a result, I've decided that I will not be adding additional information to the Loftin Family Descendancy page in the future. I have, however, created new pages with smaller amounts of information about the Loftin Family Descendancy. New information will be added to the following webpages: The Loftin Family Descendancy - the James Loftin 1768 Branch, the Thomas Loftin 1798 Branch, the James Franklin Loftin 1827 Branch, the William Alexander Loftin 1851 Branch, the Alonzo Lester Loftin 1876 Branch, the Sam William Loftin 1918 Branch and the Eldridge Loftin 1780 Branch. Some information may be repeated from page to page, but this way I'll be able to add some photos and will also have plenty of room to add more data without slowing down the creating and editing process. Be sure to look at the new pages. 2. I created new web pages for the four unnamed infant sons of Alonzo Lester Loftin and Ida Lillian Seter. These pages show photos of tombstones and compies of birth and death certificates when available. These four new pages are named "Infant Son" Loftin 1908, "Infant Son" Loftin 1914, "Infant Son" Loftin 1922 and "Infant Son" Loftin 1928. 3. I created a new page for Tyler Beatty (b. 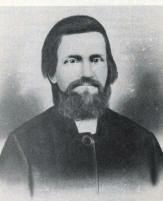 1840), son of Charles Manson Beatty (b.1795). 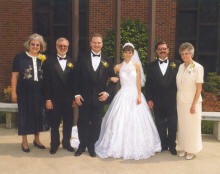 Tyler was related to the LOFTIN Family and three of his children married Loftins. 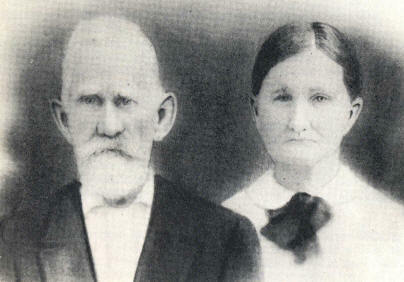 His daughter Amanda Wanetta Beatty was the second wife of William Alexander "Alec" Loftin (b.1851), son Charles McCulloch Beatty married William Alexander Loftin's daughter, Zettie Wilson Loftin, and daughter Luzetta "Zettie" Beatty was the second wife of James Brooks Loftin, the grandson of James Loftin (b.Abt.1768) and Suzannah Sherrill (b.Abt.1780). The Civil War page has been updated to show that Tyler Beatty and his brothers Calvin, Cephus, Franklin and Wilburn all served in the Confederate Army. Brother Lebanon lived in Missouri and could have serve on either side, but evidence seems to indicate that he might have served in the Union Army. 3. Carolyn, my mother (Willie Goble Loftin) and I eat lunch every Sunday afternoon after church at ARBY's in Lincolnton, NC. That has been a tradition ever since Mom started going to church (Covenant Bible Church) with us two and a half years ago (leaving the family church, Mathis Chapel Baptist Church, due to her age and declining mobility). Over time we befriended Robert and Ann Dellinger - who also ate at ARBY's every Sunday afternoon after their church service. Last Sunday (11 Jan 2015) Ann asked Carolyn where Mom (who was at home having just gotten out of the hospital with Congestive Heart Failure) was. Ann asked for her address so that she could send Mom a card, and when Carolyn wrote Mom's name (Willie Loftin), Ann said, "Well, Loftin was the maiden name of Robert's paternal grandmother, Laura Eugenia Loftin, b. 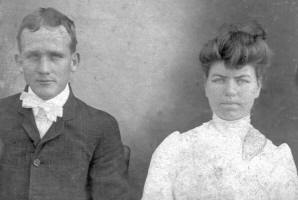 21 Dec 1869, who married Robert Henry Dellinger, Sr., on 11 Mar 1891. Laura Eugenia Loftin was the daughter of Marion David Loftin, b. 24 Dec 1847, and Sarah Frances Beal. As it turns out, our Sunday lunch friend, Robert Henry Dellinger III, and I (Curtis Dean Loftin) are 5th cousins once-removed. Robert descends from Eldridge Edward Loftin, b. 03 Oct 1782, and his wife, Mary Sherrill - where I descend from Eldridge's brother, James Loftin, b. Abt. 1768, and his wife, Susannah Sherrill. Eldridge and James were the songs of John Loftin and Martha Lanier. 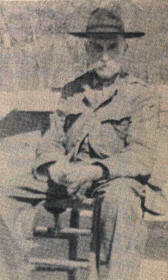 Robert Dellinger III's ancestry had been added to the Eldridge Edward Loftin Descendancy Page. Like they say, "It's a small world!." Thanks to Ann Moore Dellinger for sharing her husband Robert's ancestry with me. Thanks, too, for sharing the photo of Marion David Loftin (b.1847). 1. Information about Levan M. Miller (b.1836) was added to the Civil War Page. Levan was the son of Jacob Miller (b.1798) and Elizabeth Fulbright (b. 1808). He was the Grand Uncle of Martin Luther Goble (b.1888) and the brother of Mahala Catherine Miller Douglas (b.1830). 2. Various pages on this website have been corrected with the correct birth year for Frances "Fannie" Elizabeth Douglas Goble (b.1860). Some documents list Fannie's birth date as 1860 while others list it as 1861. Fannie's headstone at Sharon Lutheran Church in Iredell County, NC, says that she was born in 1861. The most important document, however, is the 1860 Census. On this document F.E. (Frances Elizabeth) Douglas is listed as being 3 months old. Fannie could not have been listed on the 1860 Census if she wasn't born until March of 1861. Several Census have also been added to Fannie's page, including the 1860 and 1880 Census. 3. Additional Census information has been added to the Mahala Catherine Miller Douglas (b.1830) page. Mahala was the second wife of J. Walter Douglas (b.1820) and was the mother of Frances Elizabeth Douglas Goble. 4. The story of David Vanderford "Van" Fulbright has been added to the Murder, Mystery & Mayhem in the Family page. Van died 28 May 1934 at the age of 34 from a gunshot wound to the stomach and spinal chord. His death was listed as a homicide. It took place "on the street" in Statesville, NC. David was married to Vesta Scott, and was the son of David James Fulbright (half-brother to Frances Elizabeth DouglasGoble (b. 1860). 5. Information about the children of J. Walter Douglas (b. 1820) has been updated. 1. Kady Gantt has shared several things with me concerning the FINK and JOHNSON families. She shared the Obituary for Margaret Elizabeth Fink (b.1871), the Will of Daniel Fink (b.1806), as well an a newspaper article about lightning striking the barn of J.H. Pinkney Johnson (b.1889). Thanks Kady for sharing. would enjoy seeing on the website, let me know. A special thanks to those who continue to provide photos and information. Additional photos or information, contact Curtis D. Loftin.